Stunning day and a good day to finally restart. Decided to do absolutely nothing yesterday but ran out of chocs and had to go to the Inn for a top up. Good excuse to say cheerio to the Jane and Veg crew and Mathias and Roseanne. The Inn was heaving and I went in to make a mug of tea. They are back year after year and sometimes twice. M and R are back in June and as I was saying goodbye to them I ended up giving Mathias my jumper, very spontaneous but it just felt right. Not something I do every night, and not my Lopi ,but maybe in a strange way this has turned the year round…..sounding a bit mystical so better get on with it. 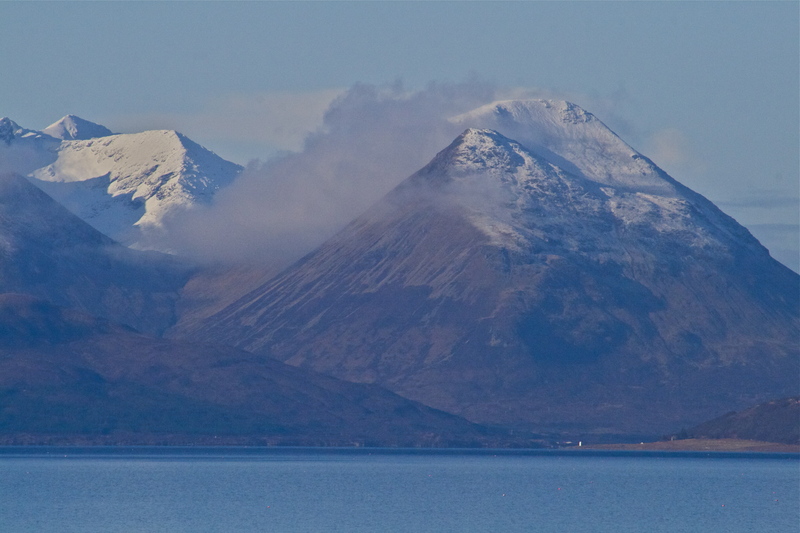 Almost any morning these mountains never fail. I cannot get enough of them now that I have noticed how different they are every day. Then it was up to the Bay for a load of seaweed with Dougal and the family of course. 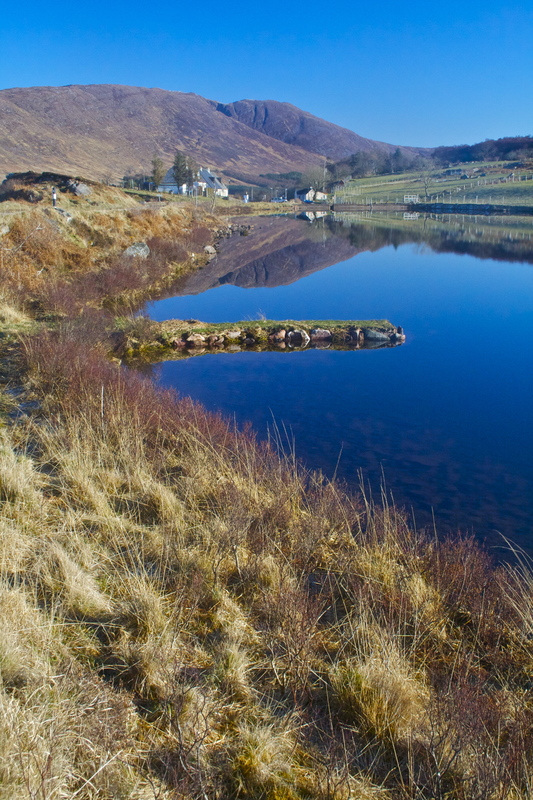 A wee stop off to take time out beside the peace and calm of Milton Loch. The little fishing stance is a legacy of the ALPS project. 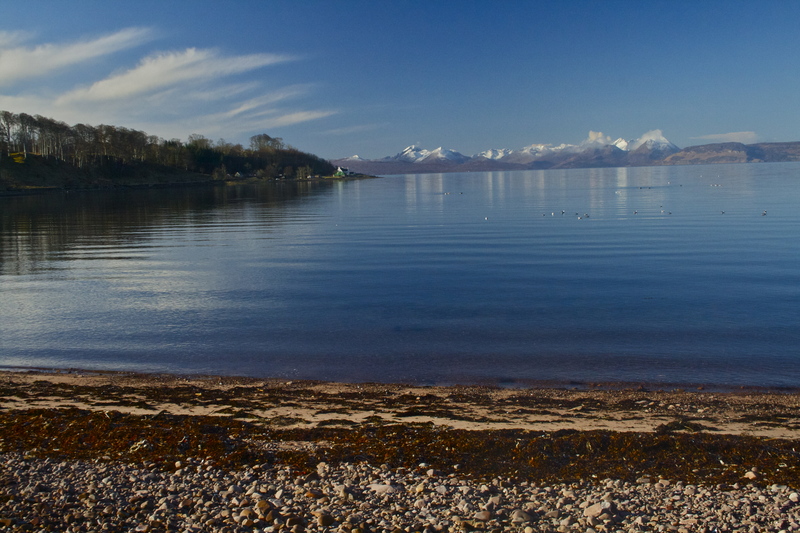 Looking over the Bay it felt so serene even with Dougal charging about and lugging seaweed up to the van. Even the herons were relaxed today. 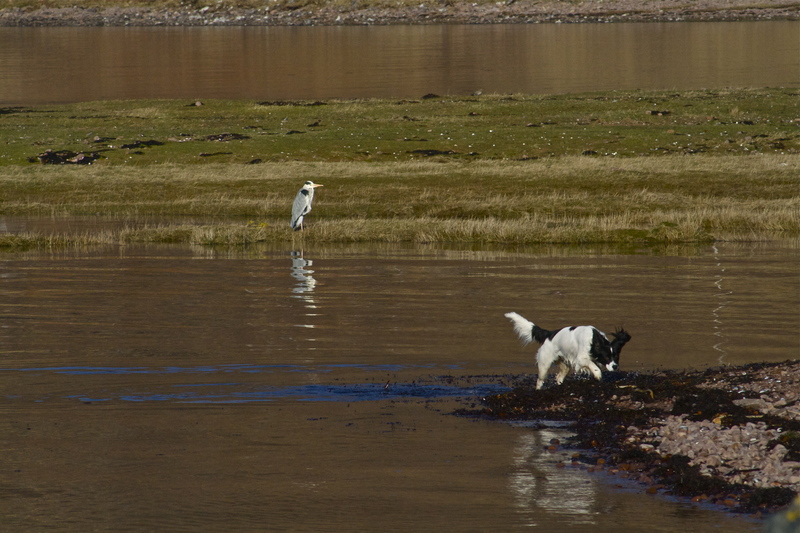 It is pretty unusual to have the heron allow Dougal into the same photo. Calling in to the Inn for a tea and asked to turn out tonight and then off to work for the rest of the morning in the garden. 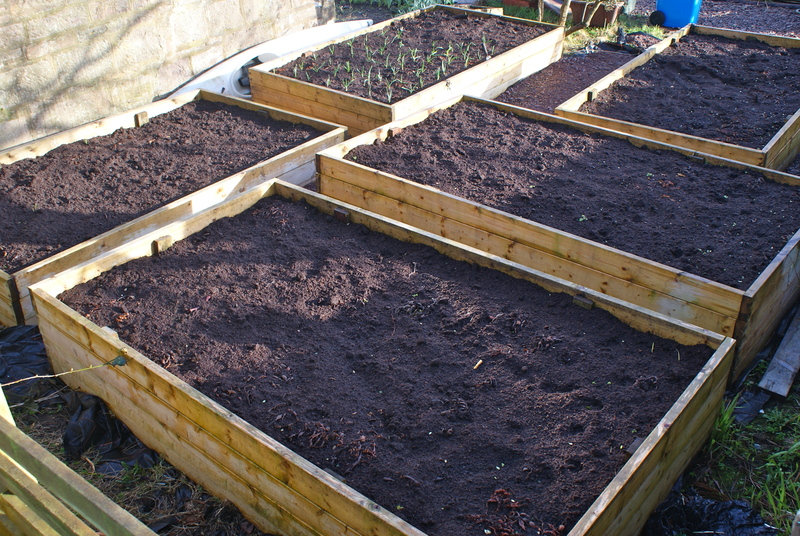 End result is two raised beds that used to be fish farm floats ready for planting, that and getting my red onions in I am just managing to keep up. great seeing the bees out around the flowering black currants. Bit less calm for the rest of the day as rugby took precedence alongside a bit of rope work, tea and flap jacks. Judith put me on standby when she discovered there was rugby on, many attributes she has but following sport is not one of them. Turned out to be quieter than last night so was able to watch Scotland lose again. 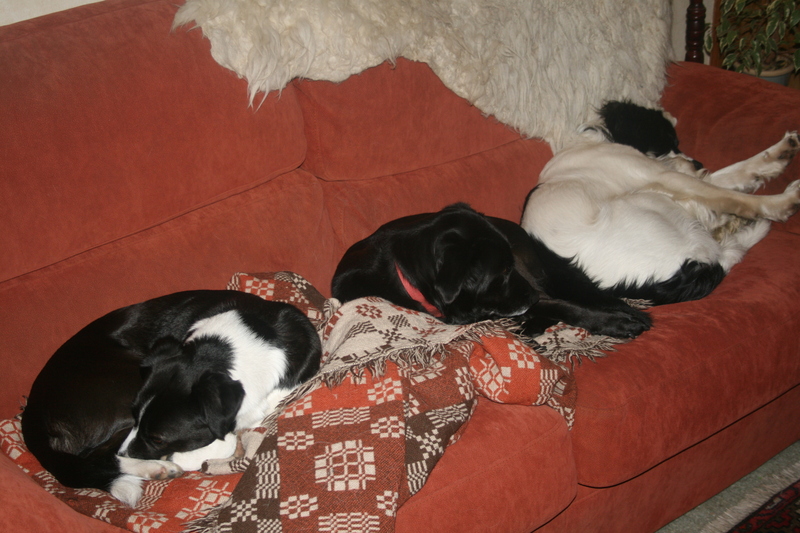 There was another game on earlier…..
And to end the day there is calm on the couch.